Oh! That was so long ago. It’s amazing how things change and morph and grow and fall away. I’m so glad that I found your beautiful photos on Flickr and started following your life! This photo of your mitts (https://flic.kr/p/fqcPV) was the very first I “favorited” on Flickr 8 years ago. I still adore them! And then we got to meet in person when you moved to Pgh and you’ve been with me for many adventures (including encouraging me to just get married already – and now it’s been 5 years). And now you are embarking on yet another new and exciting turn in life. Hoobah! Hi, I am a late comer to your blog and have enjoyed you posts and projects. Life gets very,very busy once the children start to arrive. They grow so quickly that you want to hug every moment close. So, go enjoy your family and I will look forward to your occasional posts. Glad I was able to follow along with you’re journey. It was wonderful seeing your designs and yarns as well as working with your fiber. Good luck finding focus in your life and family. Well, this makes me somewhat sad (selfishly! ), but also very happy for you! I just found you on Wednesday, and now I’ve read this last post…….I’ve a lot of years to go back and read, don’t I? 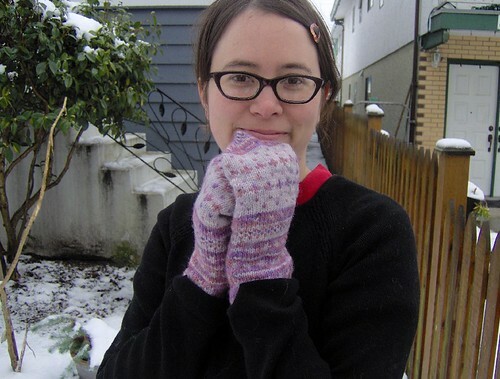 LOL I wish you well, and since I have two grandkids to knit for, I look forward to your children’s patterns……and I’ve already seen a TON of your patterns on Ravelry! Now I’m going to see if I can buy your book! Well, we have just been loving your hats – especially the titles – but the yarns are beautiful! Hope you get to come back later, when the little ones are growed up.